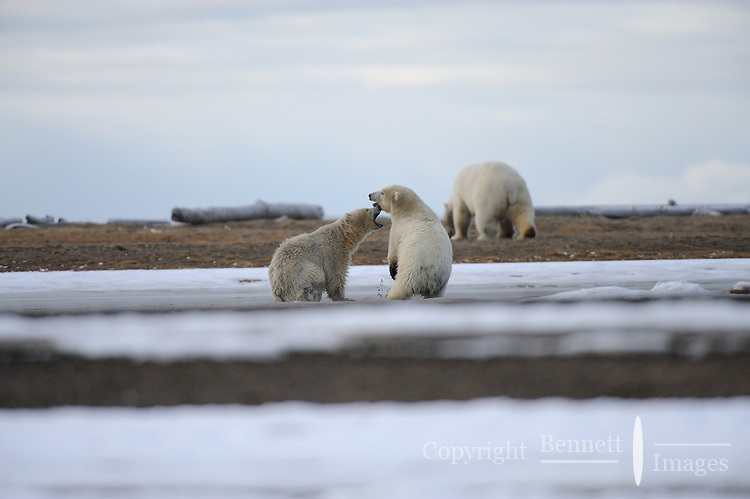 Two polar bear cubs mock fight while following their mother along the barrier island outside Kaktovik, Alaska. Every fall, polar bears gather near the community, on the northern edge of ANWR, waiting for the Arctic Ocean to freeze. The bears have become a symbol of global warming.